Most people adore the month of October. It filled with all the elements that make life fun. Pumpkin flavored foods and candy, dances, festivals, and parades, and most notably, Halloween. To avoid missing out on any of these festivities, you’ll need an October 2019 calendar for all the planning. October is one of America’s favorite months. It is a month with perfect weather; no scorching summer heat, and no winter cold, just perfect for an outdoor walk or a picnic. But what makes it stand out is the Fall festivities: state fairs, food festivals, art, dance and film festivals, and the greatest of them all, Halloween. In order to make the best of the month, you need to plan and organize all your activities. 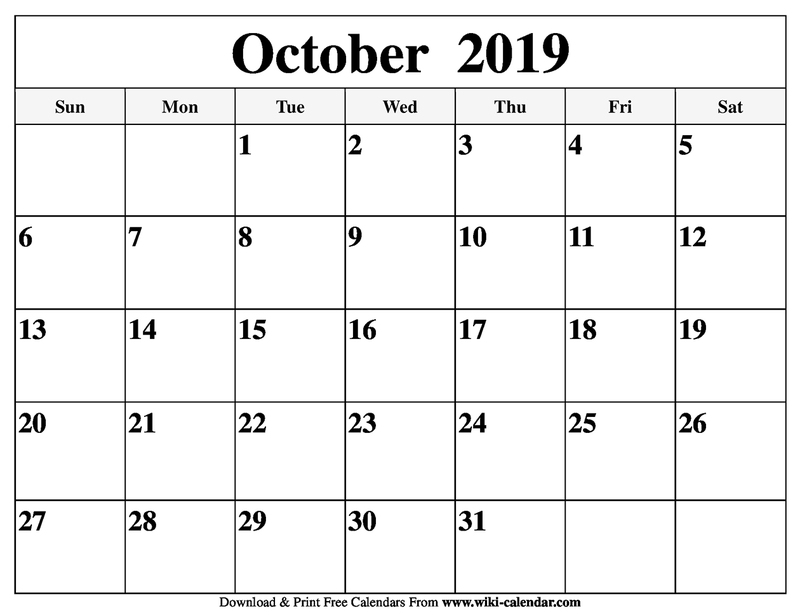 And what better way to do it than on a beautiful October 2019 calendar template. In short, this is the best way to end the month of October. If you like to use a floral calendar in horizontal orientation, this can be the perfect choice for you. 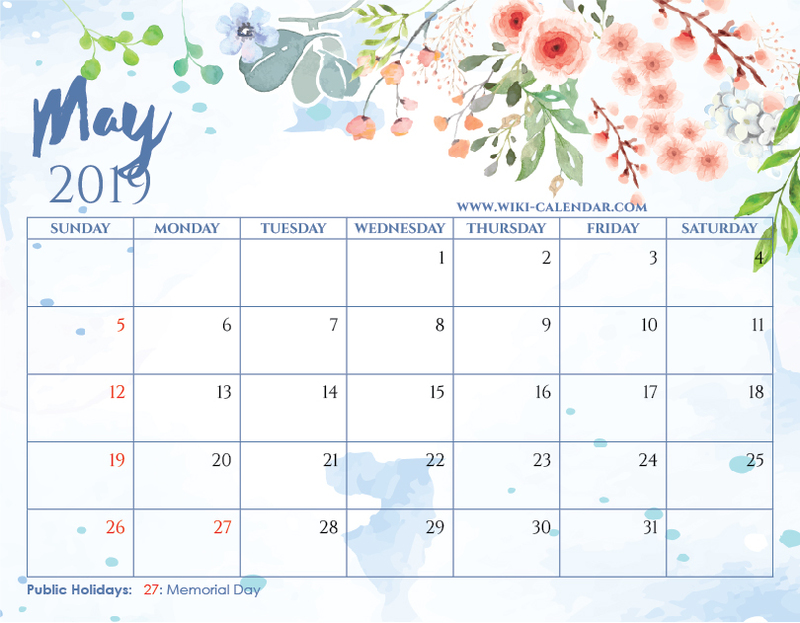 Here is your Free Printable October 2019 Floral Calendar with Holidays! The textured paper background plus the hand painted floral elements are pretty awesome. They will inspire you to have an amazing month ahead! 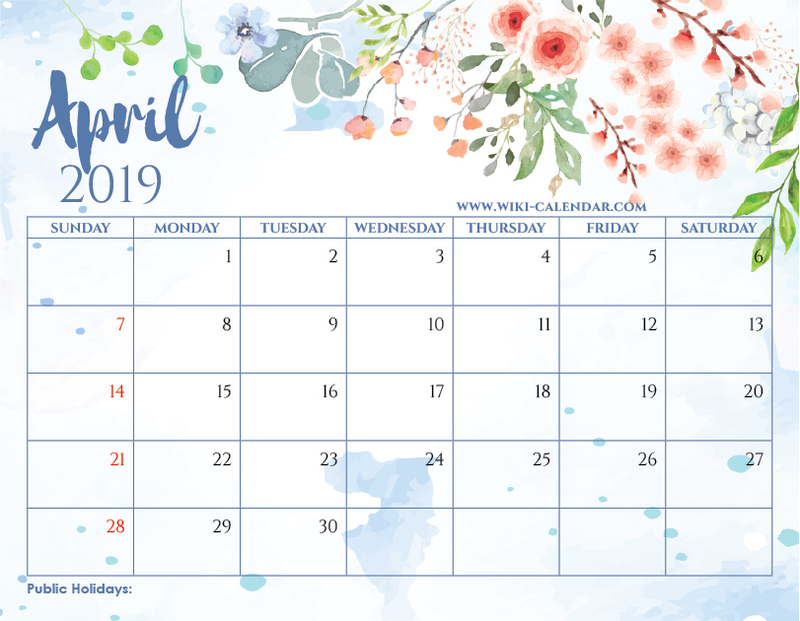 October 2019 Floral Calendar templates are available in various formats including PDF and JPEG printable. A lot of tasks and errands need to run in October. Most of them are related to the festivities of the month. Simple tasks such as getting an outfit for the Fall dance, or decorating your house for Halloween can easily become overwhelming. 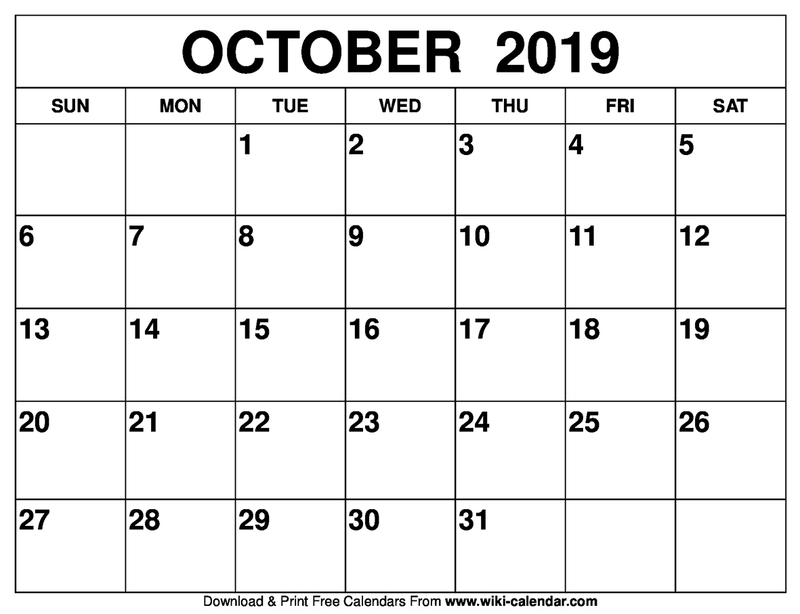 However, with a well designed October Calendar template, you can plan for all these in advance, and handle all of them with ease. 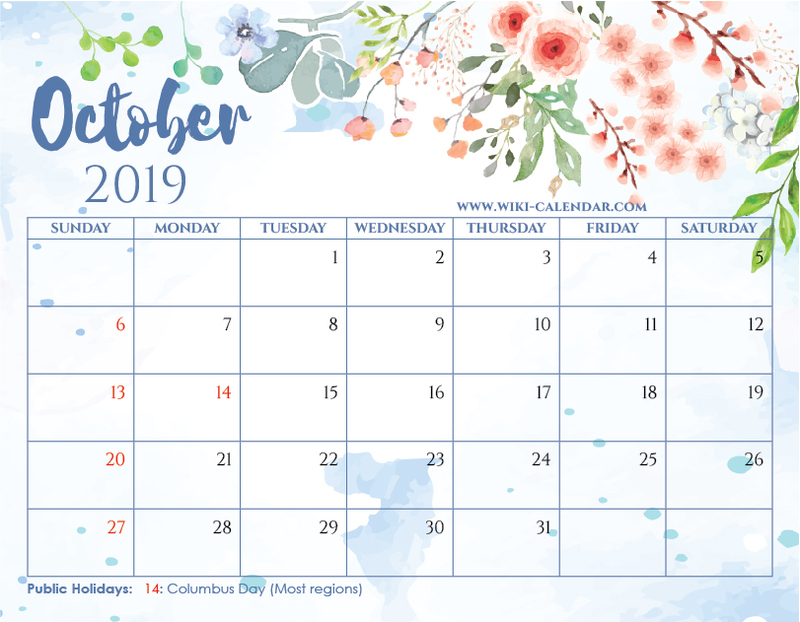 The October 2019 Calendar Printable templates come in all designs. These give you the freedom to select one that perfectly suits you. There are both vertically and horizontally arranged templates. They also come in a wide array of colors; from bold red colors that are energizing to calm and relaxing colors such as blue. Additionally, you can create a custom color for your template. To spice things up, you can go for photo templates or themed templates. Photo templates allow you to add a photograph to the calendar. It can be a photo of your pet, or family. These can really warm you up whenever you look at the calendar. Themed templates merge all elements of the design to give out a consistent vibe. Popular themes for Printable October 2019 Calendar include Fall, Nature and Animals, and Halloween. 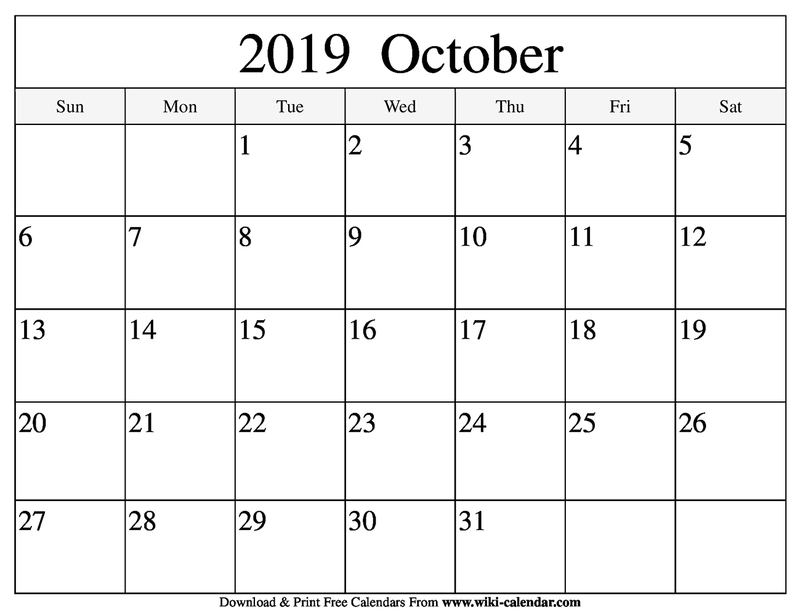 All these Blank October 2019 Calendar templates are available for free download on our site. You can get them in several printable formats, including PDF, and JPG. October is the tenth month of the year. In the ancient Roman calendar, it was the eighth month of the year. That’s why it’s named October, which means eighth. This was when the calendar started in March. In 700BC, King Pompilus added January and February to the calendar. Then October became the tenth month of the year. Since time memorial, October has always been associated with festivities. In ancient Rome, the month marked the end of the harvest and military campaigns. Communities held festivals to celebrate the lands conquered, and the return of brave soldiers. The most notable celebration was the October Horse festival. In this festival, the people sacrificed a horse to Mars. – Great weather. Not too hot, not too cold. It is the perfect month for going for walks, picnics, hikes, and playing all kinds of games. – Beautiful trees. The yellow, orange and red sheds of leaves create beautiful sceneries. – Sports season. October guarantees action every Saturday and Sunday afternoon. There’s college football, and football and baseball playoffs. – TV. By October, all TV programs are back on air. After waiting all summer long, you can finally squeeze up on your couch and enjoy hours of mind-blowing TV programs. The second Monday of every October is Columbus Day. The USA and other American countries celebrate this holiday. 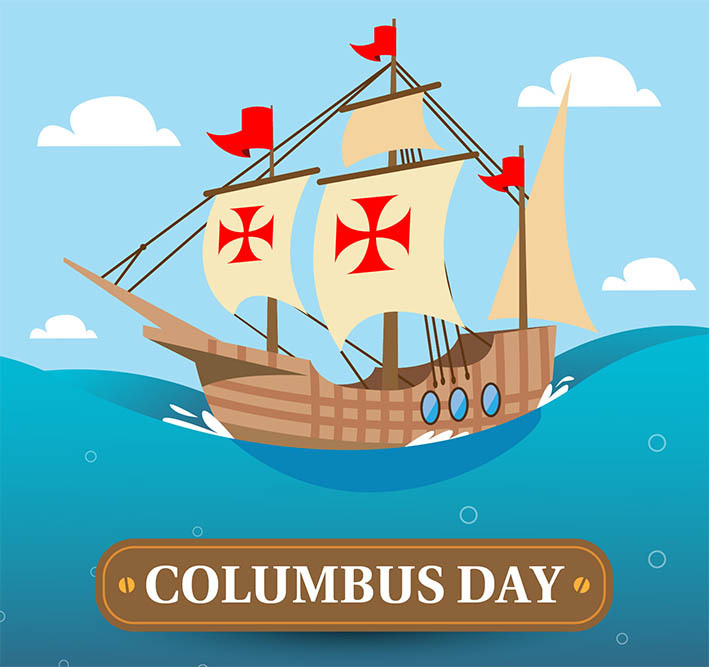 The holiday celebrates the landing of Christopher Columbus on the shores of America. This year, it lands on the 8th of October. The holiday is a historic celebration of the discovery of the New World. The holiday credits Christopher Columbus for discovering the New World. Driven by a spirit of adventure, he sailed west hoping to land in the East Indies. He ended up on the shores of America. This accidental discovery gave way to the establishment of European colonies in America. Ultimately it led to the birth of the United States. However, there is some controversy about this holiday. Several people believe the discovery of America by Europeans was a demise of its own. Yes, it led to the creation of a great civilization, but at the expense of the natives’ lives, and culture. People holding such views are against the celebration of Columbus Day. They view Columbus as a villain, and not a hero, in the sad history of Native Americans. Most people observe by holding of large public events and parades. The most notable Columbus day parades are those held in New York and San Francisco. These are often spectacles that even attract tourists from neighboring states. A few people celebrate the day by holding special church services. Others do not observe this holiday. Some states do not recognize the holiday, while some hold other celebrations in its place. Vermont celebrates Indigenous People Day on this day. South Dakota celebrates Native Americans Day on the same day. These holidays celebrate the history of native Americans in protest against Columbus Day. Whenever one mentions October, Halloween immediately comes to mind. The Halloween culture, which ranges from decorations and costumes to movies and storytelling, strongly define this month. However, the meaning of the holiday and how the world celebrates it is a bit skewed. 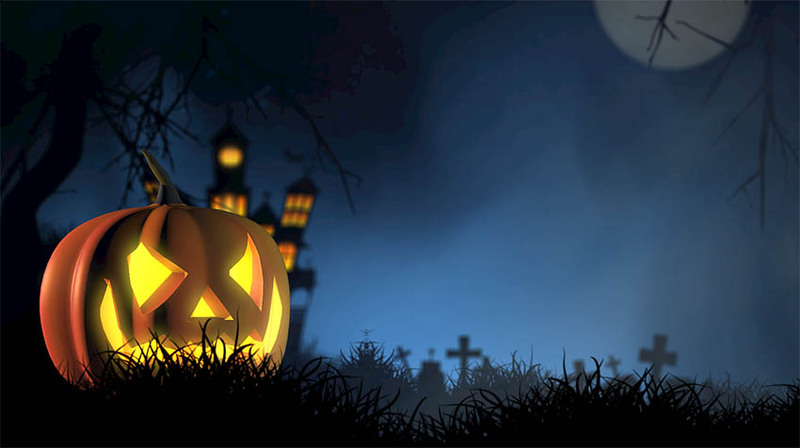 Halloween is a shorter name for All Hallows Eve, which is the holiday’s original name. It is a celebration of the eve of Allhallowtide or All Saints day. This is Christian a holiday to remember the deceased faithful Christians. It is a celebration to honor martyrs and saints. Therefore, Halloween was originally a church celebration. Some believed that the spirits of the deceased would roam around on that day. – Scary decorations. Skeletons, ghosts, decapitated bodies, and anything else that can send a thrill down your spine, are the go-to decorations. – Pumpkins. This was largely borrowed from harvest culture. During Halloween, most foods are pumpkin flavored. At the same time pumpkins are used for decorations especially for front yards. – Trick or treating. This is why it is the favorite holiday for almost all children. They get to go from door to door, receiving all kinds of candy as treats. – Halloween parties. These are themed costume parties, often held on the weekend prior to or after Halloween. – Scary stories and movies. Part of the tradition of Halloween is telling scary stories to children. Equally, the theaters and TV shows are filled with scary content on these weeks. In conclusion, October is holistically an entertaining month. It starts off with weather that is perfect for outdoor activities. While sports keep us entertained on weekends, TV shows do it on weekdays. Holidays, festivals, balls, and dances take place week after week. All these build up to a climax is on the last day of the month as Halloween. All along, school and work activities run parallel to these activities. Keeping up with all this needs some serious planning. 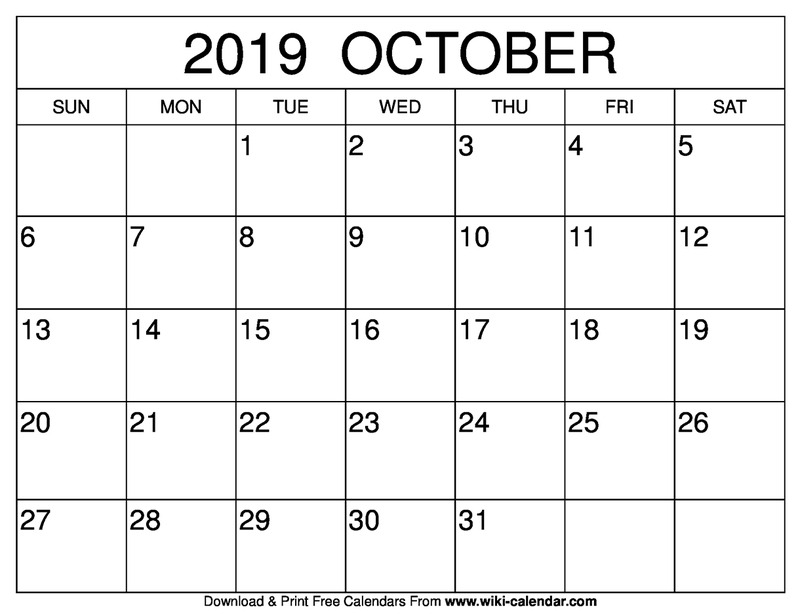 What better way to do it all than on an amazing October 2019 Calendar with Holidays template.